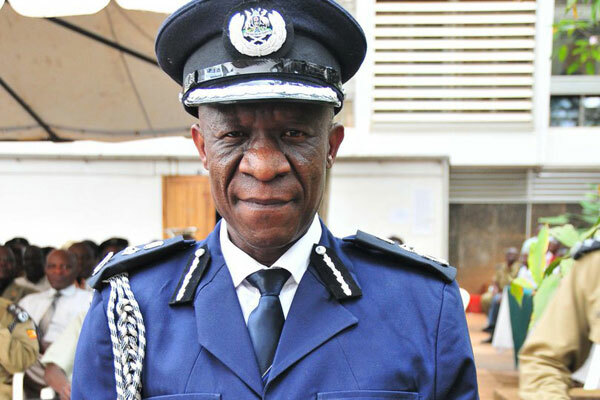 The Inspector General of Police (IGP) Martin Okoth Ochola has said that open attacks on Police officers by citizens is criminal and won’t be tolerated as he called for respect between law enforcement officers and members of the public. In a statement, Okoth Ochola says there is increasing levels of provocation, molestation, harassment and obstruction, disobedience of lawful orders, intimidation and open attacks on police officers in the course of executing their lawful duties by some members of the public. “These acts have led to regrettable incidents like deaths, body injuries, damage to property and inconvenience to the innocent members of the public as well as security forces,” he noted adding: “This is to remind the general public that such acts and omissions are unnecessary, criminal and won’t be tolerated”. The IGP also urges members of the public including the media and the security officers to adhere to guidelines, ethics, principles and orders that govern and deal with public order management, security operations, arrests, use of force, proclamations, crime scene preservations, observance of Human Rights and professional or ethical code of conduct. “In the same vein, Police officers are cautioned against the use of excessive force and violation of human rights as guaranteed under the constitution,” he added. Okoth Ochola also warns those who intend to violate the laws, guidelines, orders and security operatives that they will be dealt with “very firmly and decisively”. “Whereas no police officer should mistreat or violate the rights of any members of the public, members of the public are asked to obey the laws and have respect for officers charged with the duty of preserving law and order,” he said. 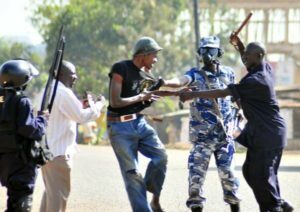 The warning comes at a time when some members of the public react violently to police officers by pelting them with stones and other items as security officers are trying to calm them especially during riots. In return, some officers react by using force while arresting them or managing the situation.